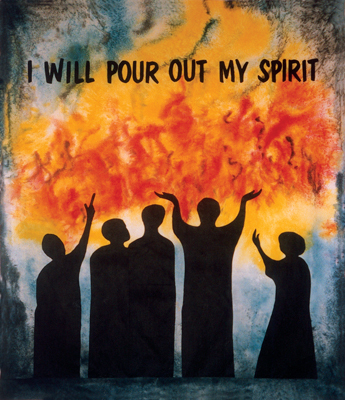 The Pentecost banner was made by Gusta Tyrer and Marilyn Payne. For the background we used photosensitive dye sprinkled with coarse salt. This proved very effective and a hot sunny windless day speeded the drying process. The figure and letters were glued on.